Want to know how to lighten your lips naturally? Several people get worried about dark lips and will take to harmful measures to lighten them. 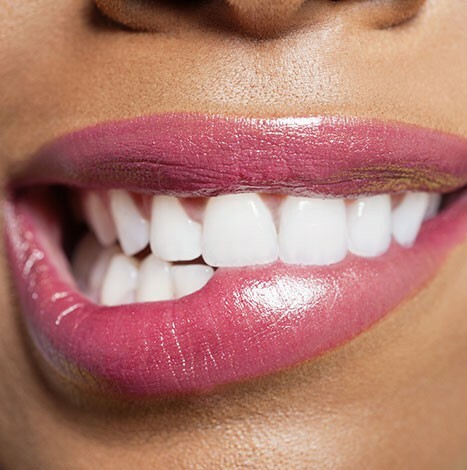 However, you do not have to use harsh chemicals and bleaching agents to lighten your lips as this might cause complications for your health in the long run. Whatever the reason for your dark lips, whether smoking, make-up residue over time or the sun, there are ways to make your lips lighter naturally. Lemon are effective lightening agents. You can scrub your lips with a lemon slice before going to bed every day. Moisturize your lips with shea butter. Shea butter contains antioxidants to help revitalize your lips. It also helps keep your lips from getting dry and cracked which could cause darkening. If you are a smoker and your dark lips bother you so much, you’ll have to stop smoking before any treatment can be effective. Did you know there are lip balms with sunblock? You can also invest in lip balms with at least SPF 20 or more to protect your lips from the sun. If you use lipsticks or lip glosses. Ensure to wash it off thoroughly before going to bed. Never go to bed with your make-up on. Finally, you can also make yourself a sugar scrub to exfoliate your lips. All you have to do is mix sugar with honey and olive oil or almond oil into a paste. Scrub your lips in a circular motion and rinse with a damp napkin when done. Routines might be difficult but if you keep at it, you will get the desired result. You also have to be realistic about your expectations. Let’s know what you thing about our guide on how to lighten your lips naturally below!